No need to check the list twice! Great pre-event promotions are always nice and we have Santa’s full approval. 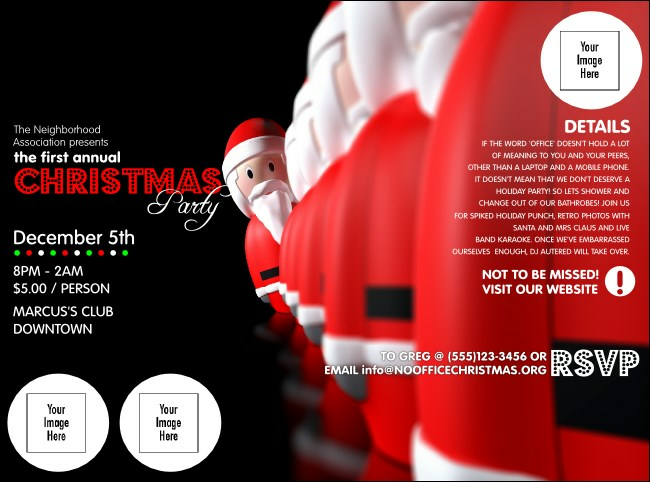 Santa LineUp Logo Flyers are the perfect way to advertise your event, and this template includes room to upload three unique images alongside a lineup of toy Santas on a black background, accented with a string of Christmas lights. Show Santa just how good your sponsors have been with Logo Flyers from TicketPrinting.com.